Willmott’s Ghost is a new restaurant we built with interior design by Price Erickson and architecture by Heliotrope Architects. Located in The Spheres, Willmott’s Ghost is Chef Renee Erickson’s latest restaurant venture, which serves Roman-style pizza and Italian cocktails. Above, Elle Decor Italia recently featured the Italian Restaurant. 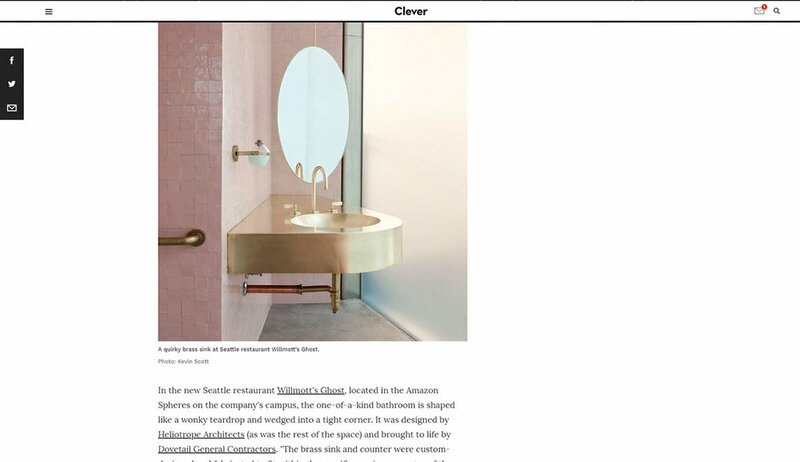 Additionally, Architectural Digest featured the pink and brass bathroom. The sink is a custom shape designed to fit within the specific curved geometry of The Spheres. It’s hand forged and hammered around a custom mold, then welded to the top and sides, and finally hand polished. The tiles are custom pink Moroccan tiles. 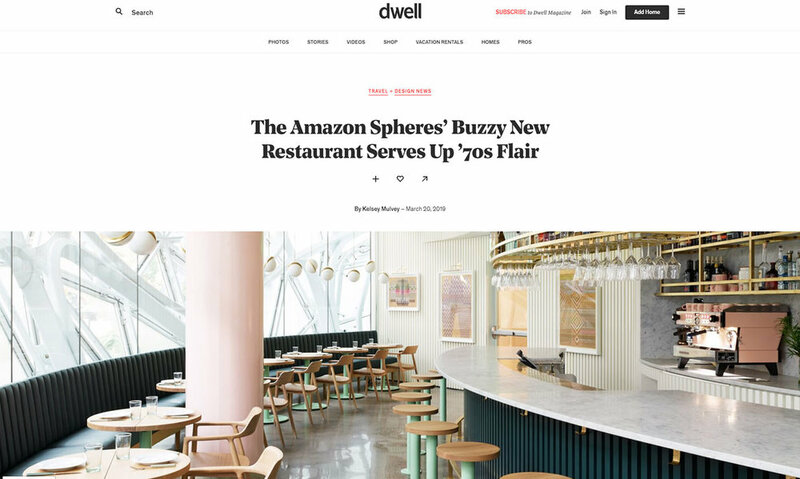 Several additional media outlets also recently showcased Willmott’s Ghost, including ArchDaily, Design Milk, Dezeen, Fast Company, Hospitality Design, and Metropolis.